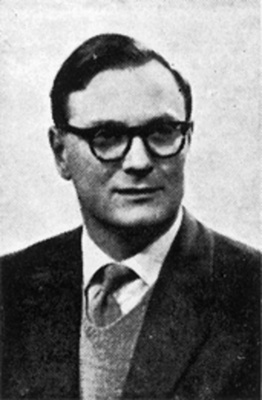 Frank Jennings was a veterinary scientist who was Senior Lecturer in Experimental Veterinary Science from 1966 until 1975 when he moved to the Vet School's Pathology Department and became a lecturer there. In 1986 he became a Reader in Veterinary Parasitology. Jennings was responsible for pioneering the developement of a highly reproducible mouse model of human African trypanosomiasis (sleeping sickness). This disease, transmitted by the bite of the tsetse fly takes a huge annual toll of human life and domestic livestock. Dr Jenning's contribution enabled the disease to be accurately staged and better understood, leading to the development of new drugs and compounds, also , to treat it. His model, pioneered at the University of Glasgow, is internationally used and recognised.